Welcome to the Spring Lake Lacrosse Organization website! Welcome to Spring Lake Lacrosse 2019! The SL High School Varsity and JV lacrosse teams are off and running and preparing for a historic run this year. The growth and culture of our program continues to drive success on and off the field at all age levels! We expect, weather pending, to get off to an early start this season with the youth programs. All teams are preparing to start practice next week. Please watch your email for announcements of practice and game schedules. We are finalizing specific locations for the various teams. While most practices will be held at the Middle School, the 3/4 teams may settle in at the high school this year. Below, please find the link to the document used at the parent meeting. We appreciate the great turnout, but if you were unable to make the event, please review this document and contact us with any questions. SL Lacrosse Board Members, Youth Directors and Coaches contacts are included. -Get Involved-Be Involved!! We encourage all parents to be involved. The SL Lacrosse community is self funded and has been traditionally worked by the few (The 5% rule). We need you. The team managers will assign various tasks throughout the season. Get a jump on it and volunteer rather than be assigned!!! Protocol has been established for communications for anything lacrosse related. -24 Hour Rule...think, evaluate, determine the degree of an issue. Advocating for our children is important, but do not let your emotions create a problem that may not exist. -No Tolerance Rule...verbal or other towards referees, players, opposing parents, coaches, SL staff. Spring Lake has always conducted our presence in a first class manner. Anything less will result in a "vacation" from SL Lacrosse. 1. Enthusiastic and Helpful-We love it! And in our experience this has been the overwhelming majority! 2. Advocating and Intense-We understand it! Lacrosse is the greatest sport that exists, and emotions run high. We are all parents as well and know the importance of advocating for your athlete. Just keep it in perspective. 3. Cra-Cra-We are not doing this! When you have crossed the line, there are no do-overs. This is the one that ends up on my desk, and by then you are labeled cra-cra. Thank you for all that you do! We expect another epic season of SL Lacrosse! Spring Lake Lacrosse Girls Youth Coaching Director, Sean Davis has assembled some great content. This can be used for Parents, first year players and returning players for a refresher. 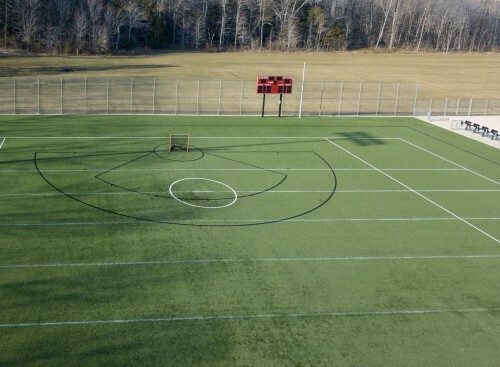 The 2019 Lacrosse Season is kicking off! We wish the High School players the best of luck as they begin their first week of practice tomorrow! All youth teams will begin practice the following week, Monday March 18th. This will be depending on the conditions of the fields (IE no snow). Stay tuned for an email from the team coaches with specifics in the next several days. Also, we will be getting an email out this week to recap highlights of the parents meeting and expectations for this season. We are very excited to get this season underway!